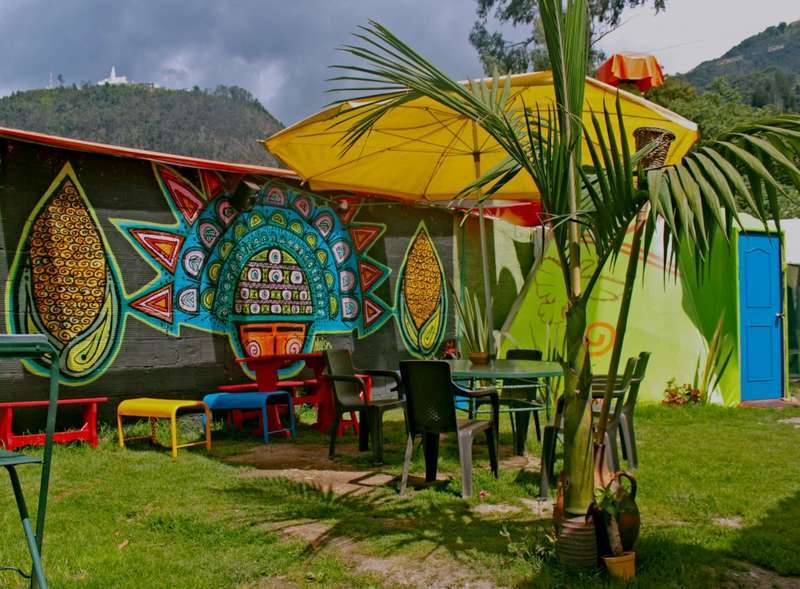 Ulucaho Hostel is located in the historic center of the city of Bogota, old Candelaria, where you can find sites of historical and cultural interest such as the Chorro de Quevedo, Bolivar square’s, a variety of museums, Monserrate and Guadalupe and a wide range of bars and restaurants. Ulucaho Hostel offers free services such as WiFi, hot coffee, TV room, public areas, shared kitchen, 24-hour reception and breakfast. You can also enjoy sunny afternoons in our garden. We offer our guests a warm family atmosphere, in a natural enviroment, overlooking the Monserrate and Guadalupe hills and with common areas where you can relax after touring the city and share your experiences with other travelers. We have private rooms with private or shared bathroom and Tepees (one of them is dorm), unique in La Candelaria, created to offer a new experience that will transport you to tranquility. 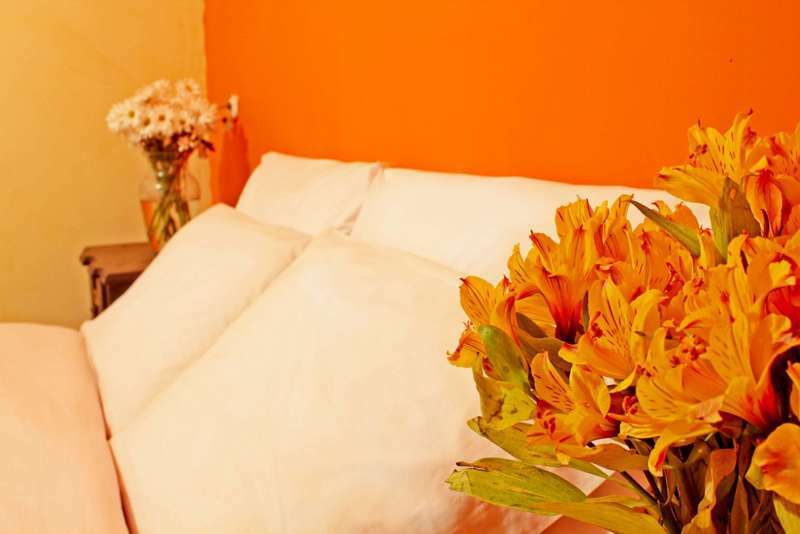 Ulucaho Hostel is located in the historic center of the city of Bogota, old Candelaria. We offer you the transfer service airport-hostel with a sdditional charge of 50.000 COP. We just need a basic information about you by email. You can take a taxi out of the airport El Dorado and you should say to driver that you will need to go to historic center La Candelaria and you should give him the exact address. You can take a bus with the public service transport of the city named Transmilenio at Portal El Dorado station. There are buses of color green named alimentadores (in spanish), that they will transport you until Portal El Dorado station. In this station you can take other bigger bus of color red named J6 Universidades. You should get off the bus at Universidades station and walk 6 blocks to south. If you arrive at early morning, you report us, please.